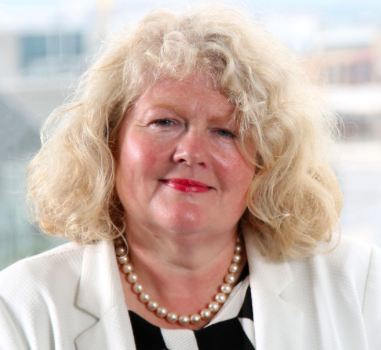 Michele Shirlow MBE – Farm Week Column 24th January 2019 | Food NI - Our Food So Good! Show highlights huge contribution of our dedicated farmers to the local economy. It was encouraging to see Long Meadow Cider from Loughgall, one of our member companies, featured at the start of the new series of Rare Breed and again on Pamela Ballantine’s excellent chat show, both from Ulster Television last week. What a great way to launch the popular series by focusing on such a successful and ambitious apple farm and cider processor in Armagh, Banbridge and Craigavon council, Northern Ireland’s food heartland. There is a truly world class cider cluster in Northern Ireland, focused around Armagh, which has emerged in the last 10 years and is picking up awards nationally and internationally. Ciders here are uniquely made from juice, not reconstitute. Long Meadow, the business developed by husband and wife team Pat and Catherine McKeever, son Peter and other family members, is a tremendously impressive success story and is a passionate supporter of a wide range of profile-raising activities for the local food and drink sector. In addition to raising the awareness among consumers here of the great cider they are producing, they are now exporting further afield. Long Meadow is part of a dynamic cider industry which is increasingly winning sales outside Northern Ireland. Good to hear also of their expansion plans to develop their own bottling and packaging operation alongside their farm shop and tea room on the farm, contributing both to exports and to our growing food tourism industry. We appreciate greatly the contribution being made by Long Meadow and the other cider producers, who also Food NI members. These include Tempted in Lisburn, Kilmegan in Dundrum and a cluster of cider producers in Portadown; Lisnisky, MacIvors , McCann’s, Troughtons (who also hold excellent cider tours). As a result of all their skills, dedication and professionalism, Northern Ireland now has a truly world class cider industry. Rare Breed is an excellent series that showcases the huge contribution to the Northern Ireland economy of our talented farmers. They are the backbone of food processing, still our biggest manufacturing industry, an export leader and a major source of employment. And it’s good there is such a programme to remind everyone here of just how important the agri-food industry really is…and especially against a background of Brexit. It is essential that the future of the industry is safeguarded whatever the outcome of the current protracted negotiations. I was also delighted to see another Food NI member company, Cavanagh Free Range in Newtownbutler, among the most successful egg producing farms on the island of Ireland, among those to be featured in the series. The business, established and run by another ambitious and talented husband and wife team, John and Eileen Hall, has been successful in the UK Great Taste Awards and has twice won the Chef’s Larder prize in the Blas na hEireann, Irish National Food Awards held annually in Dingle, Co Kerry. In addition, the outstanding quality of Cavanagh’s yolks was praised in the prestigious Delicious Produce Awards by top food writers Xanthe Clay and Lucas Hollweg. Food NI, furthermore, continues to support and value the Bank of Ireland sponsored and UFU organised Open Farm Weekend. We are already involved in the planning of what has become one of the most significant events which engages farmers and other people here. This year’s event will take place on Saturday 15th and Sunday 16tn June. Long Meadow will likely be among those taking part again and organising a range of entertainment for visitors. It’s immensely encouraging that so many of our farm producer members support this important initiative and showcase the story of why our food tastes great.